The ibis Styles Cairns and the Cairns Student Lodge are to be offered for sale in separate international campaigns. CBRE’s Wayne Bunz and Danny Betros have been exclusively appointed to sell both properties. Mr Bunz, Senior Director of CBRE Hotels, said the Cairns hotel market had rebounded, with record occupancy levels underpinning buyer demand for hotel investments. 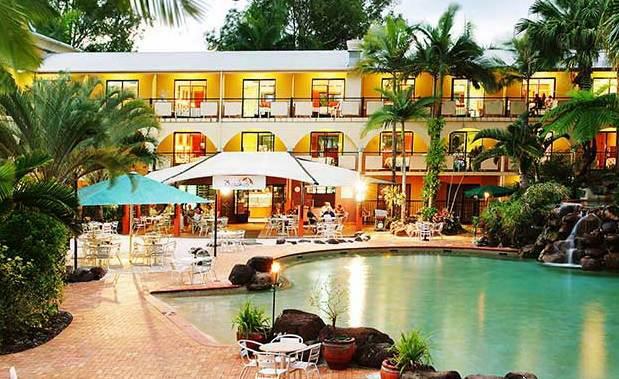 This has been highlighted by a series of recent transactions including Pullman Cairns International, the Pacific Hotel Cairns and The Hotel Cairns. The ibis Styles Cairns features 75 rooms and extensive facilities, including a restaurant, bar, meeting room, tour desk, swimming pool and BBQ area. The hotel has a prominent location on Florence Street, close to the Cairns Esplanade and directly opposite the new proposed Cairns Civic Theatre, the 24hr Medical Centre/Day Surgery and the $35m Cairns Aquarium which is currently under construction. Mr Bunz said the hotel traded exceptionally well and had this year benefitted from a $250,000 refurbishment. It is being sold with vacant possession in an Expression of Interest campaign closing 23 September. Cairns Student Lodge is a 76 unit, 231 bed, dedicated student accommodation complex with extensive facilities, including a dining area, swimming pool, conferencing facilities and entertainment and BBQ areas. The property is located opposite James Cook University on a large 11,824sqm freehold site and offers vacant possession.